Join our November Forex FXStreetEvents! Good news for our Forex friends. There are two new cities in our network of trading groups: Madrid and Hong Kong. 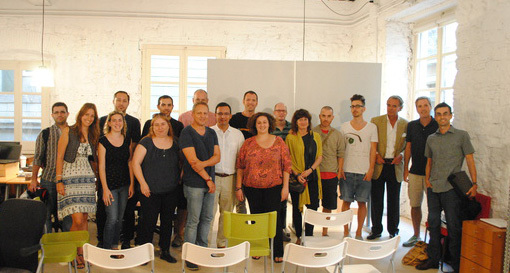 The former will held its first event at the beginning of the month, hosted by Alberto Muñoz and sponsored by XTB. Whilst the latter will held a meeting at the end of the month, having Oscar Au as host of our new trading group and with the sponsor of Saxo Capital Markets. Continue reading Join our November Forex FXStreetEvents! Posted on October 29, 2014 June 7, 2017 Author Alba LópezCategories BlogTags fxstreetevents, meetupLeave a comment on Join our November Forex FXStreetEvents! This September we have welcomed Mumbai and Singapore, two new cities to our net of forex groups around the world. In October we are glad to announce that Brisbane (Australia) will be our 11th group, and we are not alone, PhillipCapital is our proud sponsor. Good to have you on board! First time you attend? Want to know what are you going to find? Top quality speakers, traders like you, from newbies to experienced ones and a good opportunity to network. Brisbane, London, Melbourne, Singapore, Toronto, Barcelona, Los Angeles, New York, Sydney, Istanbul and Mumbai. Find your city, save the date and join us! On Thursday July 4, 2014 I had the honor and pleasure to host Alfonso Esparza as guest of the Toronto Forex Group, for a very inspiring, useful and practical presentation. Alfonso is a senior, experienced currency analyst with OANDA and publisher of MarketPulse. As a trader and market analyst I am into using a “modern variation” of Fibonacci to spot areas where participation of widespread classes of algorithms can be anticipated. So although I value fundamental analysis, I rarely make reference to it in my trading, as I find it is very difficult to integrate discretionary tools into my rule-based trading. 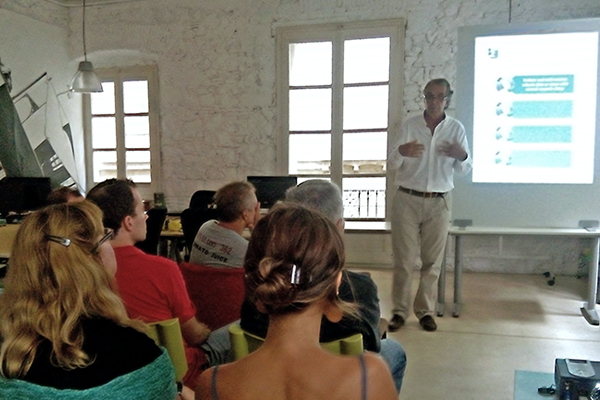 But what I and the other several participants have learned from Alfonso at the July meetup is that there can be identifiable market, economic and geopolitical situations, like those developing from social dislocation (the topic of July presentation) that can be analyzed and explained using well defined conceptual frameworks. “Trading Technically with a Fundamental Edge” is the title of the next Meetup that FXStreet organizes tomorrow, 10th of July in New York. The guest speaker for this trading group is Edward Moya, Chief Technical Strategist at World Wide Markets. New York Traders Group is lead by Chris Tramount. This session will deal with the hard battle of making money in the forex market for the retail trader. While hundreds of technical indicators exist, and with the potential to adjust parameters to countless options, the importance of having a rules based technical analysis methodology is important, but likely will have difficulty standing on its own without understanding market sentiment and what some of the triggers are for the algorithmic trading systems. In this session, Moya will go over what are some of his favorite technical indicators/strategies, understanding market behavior and what big picture fundamental indicators/events he follows. Continue reading New Forex Meetup groups in Sydney, Los Angeles and Toronto! Posted on January 21, 2014 January 22, 2014 Author MaudCategories BlogTags meetup1 Comment on New Forex Meetup groups in Sydney, Los Angeles and Toronto!